Islington N1 is a well-known district of London. As a matter of fact there is a whole borough which goes with the same name – this causes some problems simply because people are making mistakes and calling the neighbouring districts Islington as well (due to the name of the borough). In terms of transportation – Angel tube station is located there and therefore there is an area called with the same name – Angel. There are also some pretty nice places that you can visit, but we will focus our attention to Upper Street because it is the main shopping street in the borough of Islington. There you will be able to find everything you need and you will definitely have a great time. 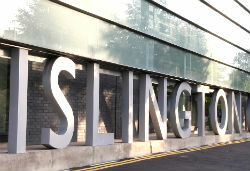 Islington N1 is one of those places that you should go and check for yourself – it is nice for both sightseeing and living.